Spoil from continuous flight augers should be removed at the lowest possible level. This to prevent rig instability and avoid injury to personnel or damage to machinery due to falling debris. Units are custom built to suit customer’s drilling rigs and auger specifications. An auger cleaner can be adapted to a variety of different auger diameters and pitches using alternative shells. The shell, or barrel, is attached to the underside of the auger cleaner drive. Auger cleaners provide a fast, powerful and productive means of cleaning all soil types from a continuous flight auger. This becomes increasingly important as the diameters increase, particularly with heavy soils. 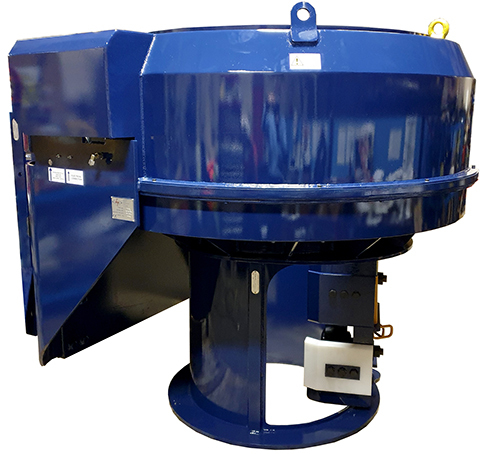 Models are available to clean auger diameters from 300 to 2,000mm, depending on rig specification.